Purchased in 2006 when Blue Star Ferries bought the assets from the ferry company Dane Sea line, the Diagoras has a passenger capacity of 1462 and a maximum vehicle hold of 274. Onboard facilities include aircraft style seating, comfortable lounges, a la carte restaurant, self-service restaurant, open deck bar, café, gift shop and a video games room. Theres a wide selection of food to choose from onboard in both the A la carte restaurant and Goody’s self service restaurant. If you prefer something lighter then choose one of the two Diagoras cafés for a snack. Please Note: Whilst we have taken great care in making our Diagoras guide as accurate as possible, onboard facilities, services and entertainment may vary depending on the date and time of year that you travel, facilities mentioned may change without notification and ferry companies reserve the right to operate vessels other than those mentioned at time of booking without prior notification. We just love these ferries, visiting various islands is possible with ease and comfort. The Diagoras is a large modern comfortable ferry. 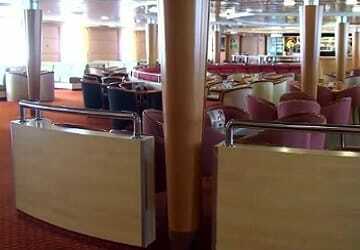 We were only on it for three and a half hours so cannot comment on cabins, but the corridors all looked immaculate. We had a lovely dinner in the dining room and a very pleasant trip from Rhodes to Tilos. "Tilos to Rhodes ferry - diagrams blue star ferry"
Have got to say it was an enjoyable way to leave dream island. 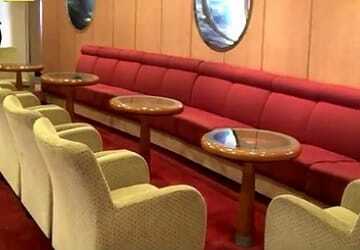 The ship and its facilities were first class. 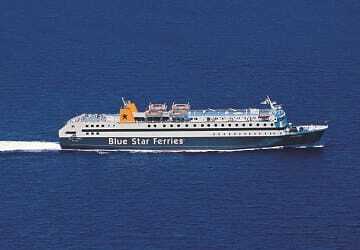 The Blue Star zFerry website was not user friendly and hence I booked through direct ferries. The trip was not in the Hugh season so I could have bought a ticket on the day, but as I had no experience with ferry travel ( coming from Australia) I bought the ticket in advance. I was very happy with the vessel and the staff. Old ferry, carpet is dirty and old. We travel in a doble cabin. Clean beds and minimal toilets. You cannot turno off the air conditioner and it was too cold even underneath the blankets! Helpful crew. Half an hour delay. Price of the ticket ok.
it was the best ferry i have been on i couldnt fault it. "A great way to start and finish a holiday"
This was my first ferry trip. I loved it. 24 hours to relax and watch the magical blue of the Aegean sparkle by. The ferry operation is well oiled - no delays, amazingly egficient embark and disembark. Food ok variety and fresh. Cabin clean.... I'd do it again in a snip. In a cabin mind you!! "Best Ferry Ride for the Price"
We enjoyed the comfort and convenience of Blue Star Ferries. If ever in Europe again, we would gladly book ferry routes through them again. "Very easy and clean! No complaints"
Ferry was on time, clean and comfortable. Had an eventless ride between Rhodes and Tilos. Nice atmosphere on top-deck where people were playing instruments and singing in small groups. Could have wished for more electrical outlets, a sweet shop and the placing information (deck, row/seat) on the ticket should be improved. Congrats for the punctuality, the organization and for the services on board. The journey Kos-Patmos was perfect: new ferry, new enviroments, clean anf comfortable. Good food and helpful staff. "The best most rememberable time of our holiday trip to Greece"
We went to Greece for my my daughter`s wedding, at a Mitsis all inclusive resort, yet the most memorable part of the start of the holiday was the dinner on the Blue Star Ferry. Although the wedding on the beach was a memory to remember, the most looked forward part of the trip was the return dinner on the Blue star ferry. If you are traveling to the eastern Mediterranean make sure you plan a most enjoyable beginning or break in your holiday and enjoy dinner on the Blue Star Ferry, as then like us you can look forward to finishing your trip with your memorable return dinner on the Star of the holiday ferry dinner. (photo`s available on request). So easy to book and fantastic service on board. Will definitely use again. 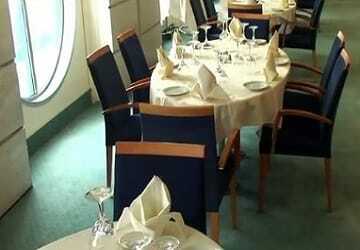 A nice ship with good facilities. By stopping on several islands, we felt like we were on a short cruise. We slept in cabin 5002 which had a window at the back side and a window at the front. It also had a double bed. 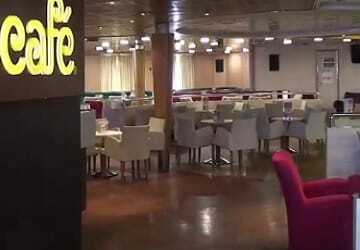 The self-service restaurant and several bars offered a variety of meals and drinks. The only negative point is that there are people sleeping everywhere you go. That makes it a not so cosy environment.